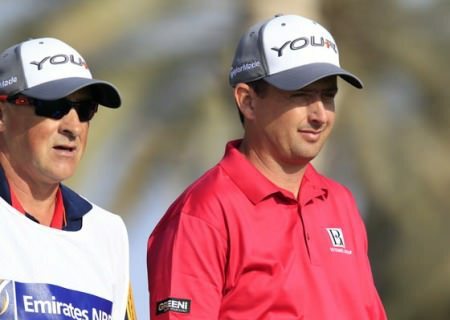 The Ballyclare golfer closed with a two under 70 to finish nine strokes behind the winner on 13 under, moving to 56th in the Race to Dubai standings thanks to prize money for €30,057. 38-year old Gallacher claimed his first European Tour title in eight years when he carded a 71 to win by three shots from South African Richard Sterne and further dent Shane Lowry’s hopes of making the WGC-Accenture Match Play with a move into the world’s top 60. That was his fifth eagle of the week and resulted in a three shot swing when Sterne bogeyed, returning the advantage to Gallacher, whose three shot overnight lead had been wiped out in the opening two holes. He hung on despite the shaky start, and ultimately his 22 under par total matched the lowest in the event’s history, set by Thomas Björn in 2001. “These days you need to do something special to win an event, and I had the perfect distance for that wedge and it came out perfectly,” Gallacher, who was runner-up here last year, said of his holed shot at the 16th. “I knew if it wasn’t in it would be very close. “It’s been eight years since I last won. I’m maturing with age hopefully. The plan at the start of the year was to get into the top 50 in the world and I’ve practised hard and got my equipment right. Sterne, who like Gallacher signed off with a 71, said: “At the start of the week you’d take second place, but having led the tournament I’m disappointed. “On the 16th I was one shot behind and on the next hole I was four shots behind, so that took the wind out of my sails. Englishman Lee Westwood briefly threatened the lead and a final round 68 left him tied fifth, while Dane Thorbjørn Olesen and Chilean Felipe Aguilar shared third on 17 under. Peter Lawrie also shot a 70 to finished tied for 17th on 11 under, winning €21,812, while Damien McGrane’s 72 left him joint 64th on three under and just €4,267 richer. His second European Tour International Schedule victory in his 404th European Tour event. Moves to sixth in The Race to Dubai with €314,269. Moves into the top 60 of the Official World Golf Ranking from 111th and in a very good position to qualify for the WGC – Accenture Match Play Championship for the first time. His first European Tour victory since the 2004 Alfred Dunhill Links Championship, a gap of eight years and 116 days. Played in a total of 210 European Tour events between victories. From those 210 events played he has been second on three occasions. The events were the 2006 British Masters, 2012 Maybank Malaysian Open and tied second in the 2012 Omega Dubai Desert Classic. Victory comes in his 13th appearance in the Omega Dubai Desert Classic. Beats his previous best finish in the Omega Dubai Desert Classic of tied second in 2012. (Was also tied fourth on his debut in 2000 and tied tenth in 2011). 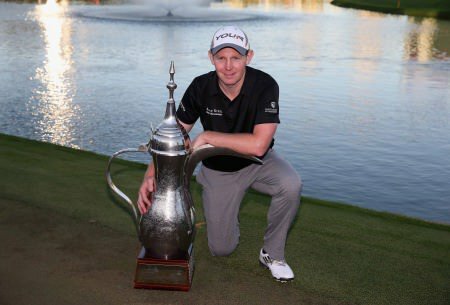 Only the second Scot to win the Omega Dubai Desert Classic after Colin Montgomerie in 1996. 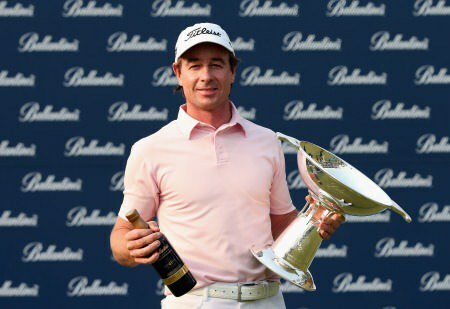 Becomes the second Scot to win on the 2013 European Tour International Schedule, following Scott Jamieson, who won the Nelson Mandela Championship presented by ISPS Handa. His first European Tour victory where he has led going into the final round. (Made up three shots in the final round to win the 2004 Alfred Dunhill Links Championship). His winning total of 266 (-22) matches the tournament record in the Omega Dubai Desert Classic, set by Thomas Björn in 2001.